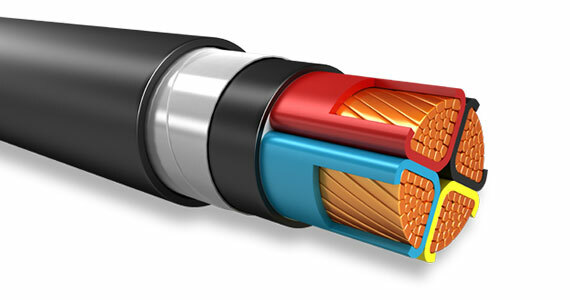 Relemac has added a special range of Fire Survival & Fire Resistant cables to its product range. The Fire Survival Cables that we provide are designed to continue to operate for a defined minimum period of time in case of fire including water spray & mechanical shock. The range of our Fire Resistant Cables is tested in NABL accredited labs Like ERDA Baroda, which is considered as the highest degree of recognition for being a competent laboratory in India, thus ensuring products of high quality. By bringing forth what is par excellence, we have been able to establish our name amongst the preeminent Fire Survival Cables Suppliers. Electrolytic Grade Copper Bare / Tinned, Solid / Stranded / Annealed Flexible Conductors conforming to IS:8130:1984 or other international standard. Conductor are insulated with Mica Glass Tape / silicone rubber as per requirements.Mica Tape survives temperature up to 1000°C. It is non-toxic, chemically neutral and 100% Halogen free. The Insulated material may be Heat Resistant PVC / XLPE / Silicon Rubber or any other dielectric material as per customers specification. Individual & Overall Shielding may be of Annealed Tinned Copper Braiding/Poly Aluminum [Thin Layer of Aluminum Foil bonded to Polyester Film] Tape with Annealed Tinned Copper Drain Wire. Braiding ATC Shield has high tensile Strength and provides better coverage in flexing application. It's also done by copper Tape or nickel copper as per specifications. The Inner Sheath is applied over laid up of cores by extrusion / wrapping of thermoplastic material. The Insulation, Inner Sheath can be Normal Pvc /FR PVC / FRLS PVC / ZHFR / LSF Compound depending upon their application or specfication. Armour is applied over inner Sheath. It may consist of galvanized Round Steel wires or galvanized Flat Steel Strips conforming to IS:3975. Steel wire armoured cables are suitable for direct burial. One or more copper wires can be incorporated in the armour to increase the conductivity of the Armour where it is being used as an earth return. Armour can also by steel tape / double helical steel tape or aluminum wire if client's requirement. Round Wire armoring is provided , where the calculated diameter under Armour is 13.0 m.m. Above this, armoring is either round wire / steel strip as per client's requirement. A final covering of PVC Compound is applied over Armouring in case of Armoured Cable or over Inner Sheath in case of Unarmoured Cable. The Color of Sheath is Black,Grey or as per customer's choice.The Outer Sheath material may be FR PVC / FRLS PVC / ZHFR / LSF as per requirement of the specification. ► Will withstand Flame temperature of 750 degree centigrade up to 3 hours without electrical breakdown at rated voltage. ► During fire condition small quantity of toxic gases mainly, CO, CO2 are inevitably emitted. Fire Survival Cables are designed to limit these toxic gases within safety level. ► Corrosive Gases react with moisture to produce active acids which corrode metals causing extensive long term damage. Often these gases spread throughout the building through the ventilation system or within the entire installation. This is particularly damaging to electronic equipments and even to the exposed steel structures or even the concrete enclosed steel structures. ► Does not propagate flame. These fire retardant cables Specially designed for to maintain Long-term circuit integrity during and after a fire like public address and emergency voice communication systems , fire extinguishing systems, sprinklers pumps, control panels, exit lights in high-rise building control and instrumentation services in industrial, commercial and residential complexes, hospitals, airports, malls and crowdy areas etc. data and voice transmission,CCTV, security, smoke detection and evacuation monitoring applications ,interconnection of distribution boxes and end devices, where continued functionality is required during a fire situation ,in High-temperature installation conditions.